Our Best Answer - Is there a bank on campus or in town? 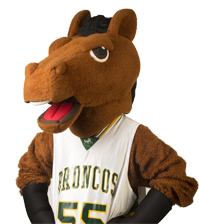 The Cal Poly Federal Credit Union is located on campus at the Bronco Student Cener (Bldg. 35). The Credit Union welcomes students to join for teller and online financial services. ATM services are available to all students. For more information, go to the Cal Poly Federal Credit Union website. In addition to the Cal Poly Federal Credit Union, there are Bank of America and Wells Fargo ATM machines located within the BSC. In addition there are more nearby off-campus banking options, include several regional and national banks such as Chase, Wells Fargo and Bank of America. You may want to check your bank's website for locations in our area.